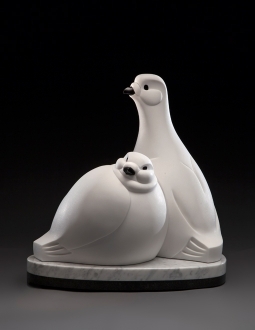 Stone sculptor Ellen Woodbury is the 2019 award recipient for the Marilyn Newmark Memorial Grant. 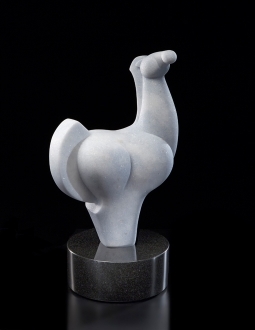 This national prize is sponsored by the National Sculpture Society, and given to a sculptor specializing in animal sculpture who has demonstrated an outstanding ability in his or her body of work. 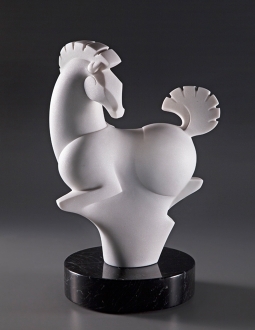 The prize consists of an unrestricted $5,000 cash award, a half-page ad in Fine Art Connoisseur magazine, and a quarter page ad in Sculpture Review magazine. Here are the 12 sculptures I submitted this year for the 2019 grant application. I think a big part of making art is sending out positive energy in your artistic expression. It is supreme elation when that energy finds its way back to you. This is not to say that the reason to create positivity is so you can get it back. Rather, it is a bonus, a gift, when good things circle back. 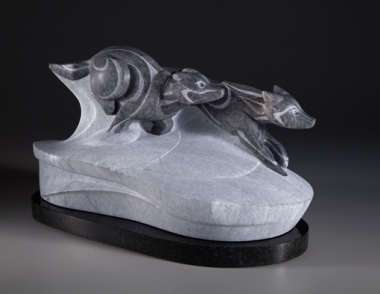 I have spent most every day in the last 13 years carving stone. I love what I create just as itself. 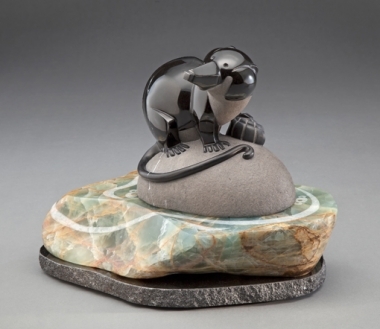 The money, recognition, and exposure given to me by the Newmark Grant is an affirmation that what I create is significant to other sculptors and other people. It is easy to get lost in the process of making. It is wonderful to find approval. 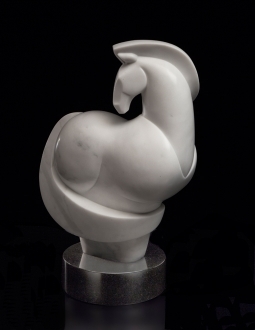 Marilyn Newmark was a bronze sculptor celebrated for her delicate, refined, realistic sculptures of horses. 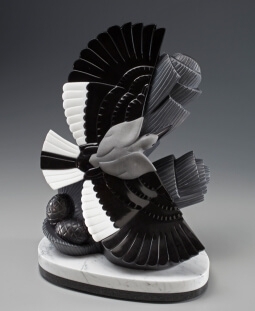 She began sculpting as a teenager working in ceramic, then switched to bronze in 1970. 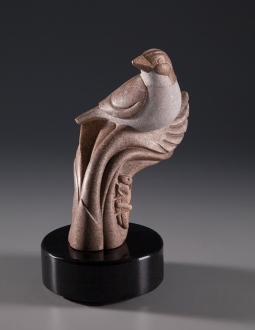 Her sculptures won 12 gold medals and over 100 awards at national and international exhibitions. 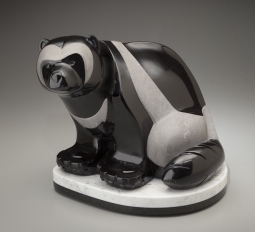 She was very active in the National Sculpture Society and created this grant for sculptors of animals. She passed away in 2013 at the age of 84. 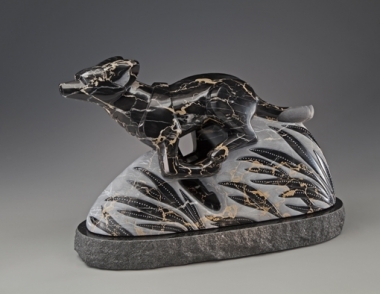 I believe I have applied for the Marilyn Newmark Grant 9 or 10 times in the past 13 years of carving stone. 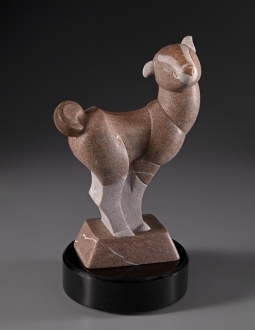 I began sculpting in stone in 2006 and it took me a couple of years to create a portfolio. Then it was a couple more years to understand that the judges for the Grant change every year. The sculpture always needs to be the best that you create. 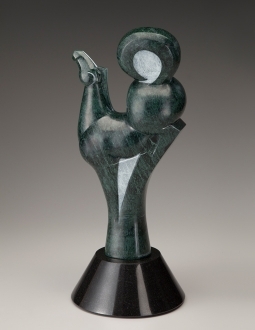 It is not necessary to present 12 different sculptures every year for the grant application. It is most important to submit your very best work every year, which means some of your greatest hits will be from years past.